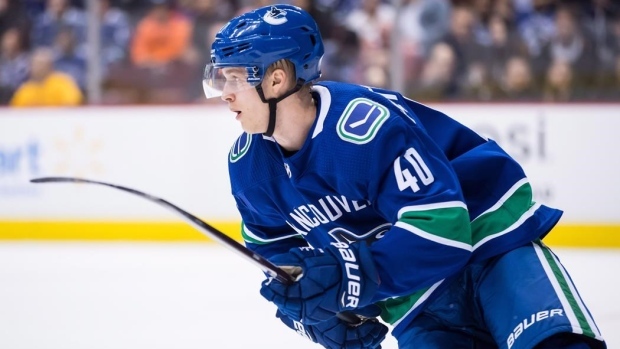 With an assist tonight against the Chicago Blackhawks, Vancouver Canucks forward Elias Pettersson recorded his 61st point of the season, surpassing Pavel Bure and Ivan Hlinka for the franchise record in rookie scoring. In 62 games this season, Pettersson has 61 points (27 goals, 34 assists). Bure, who set the record in 1991-92, had 60 points in 65 games. Hlinka also recorded 60 points in 70 games in his rookie season with the Canucks in 1981-82. Pettersson leads this season's NHL rookie scoring race in goals, assists and points. The next-best point getter is Toronto Maple Leafs rookie Andreas Johnsson with 40 points. The Canucks are currently seventh in the wild card race in the Western Conference.